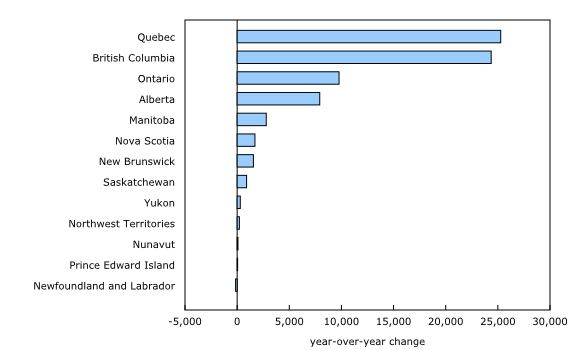 Job vacancies in Quebec were up by 25,000 in the first quarter of 2018, an increase of 37 per cent over the first three months of 2017. Quebec’s unemployment rate was 5.5 per cent for the quarter, compared to 6.2 per cent in the first three months of 2017. Quebec’s Liberal government has estimated that more than one million jobs will need to be filled by 2024, and says immigration has a major part to play in filling this gap. British Columbia posted similar numbers to Quebec, reporting 24,000 more job vacancies in the first quarter of this year, an increase of nearly 36 per cent over 2017. 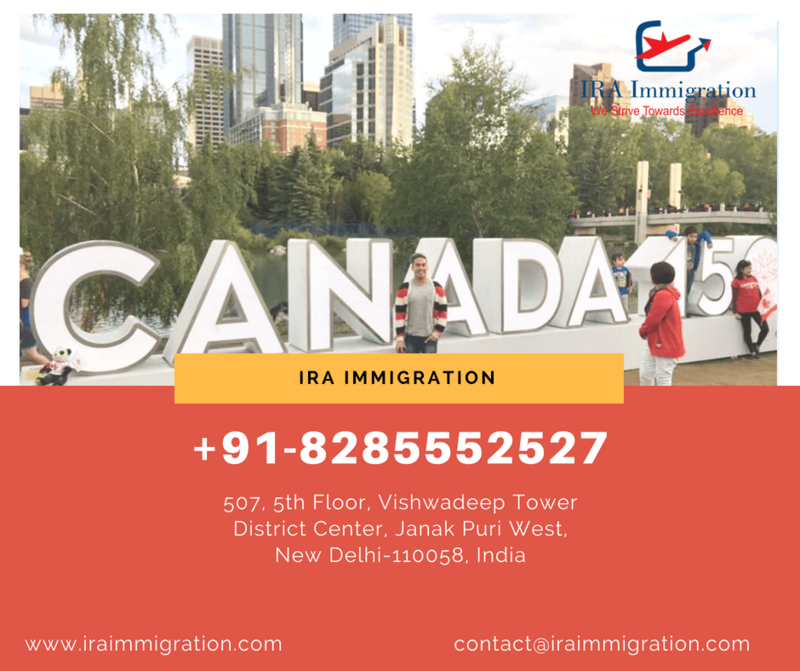 Job vacancies in Ontario, Canada’s most populous province, increased by 9,800 in the first quarter of 2018, a difference of +5.7 per cent over 2017. More than 40 per cent (4,200) of those vacancies were in the transportation and warehousing industrial sector and another 2,400 were in the health care and social assistance sector. 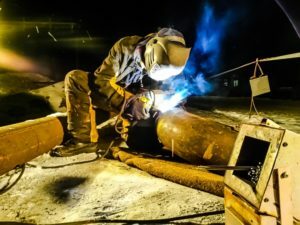 Alberta posted a year-over-year increase of 7,500 jobs in the first quarter of 2018, an increase of 18.5 per cent. 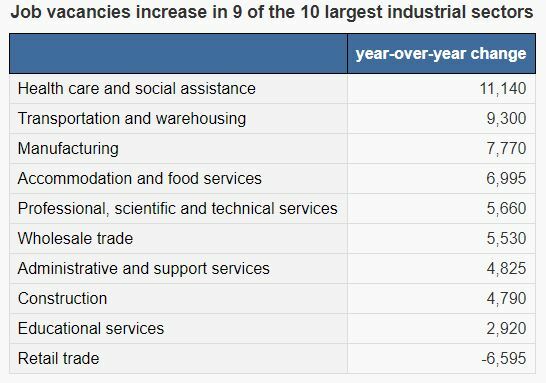 The most growth in job vacancies in Alberta occurred in the health care and social assistance industrial sector, as well as construction; mining, quarrying, and oil and gas extraction; and administrative support services. Manitoba reported an increase of 2,800 job vacancies, an increase of 26.4 per cent over the first quarter of 2017 that Statistics Canada says was driven by job vacancies in the health care and social assistance sector. Canada’s health care and social assistance sector saw job vacancies increase by 11,000 over the first quarter of 2017, an increase of 27.3 per cent over 2017. Job vacancies were up in all four Health Care and Social Assistance sub-sectors, including ambulatory health care services and nursing and residential care facilities. Transportation and warehousing experienced an increase of 9,300 job vacancies (+46 per cent) over the first three months of 2017 and an increase of 7,800 job vacancies, or 23 per cent, was reported for Canada’s manufacturing sector, notably transportation equipment, fabricated metal product manufacturing and food manufacturing.